Compelling evidence of significant achievement among peers in one’s discipline or professional field at the national or international level. National and/or international record of excellence in epidemiological related independent and/or collaborative research and/or creative scholarly work, supported by substantial and sustained publications or their equivalent. Record of excellence in teaching, including a clearly defined teaching philosophy and a record of participation on and as major professor for thesis and/or dissertation committees for master’s and doctoral candidates. Doctoral degree from an accredited institution or the highest degree appropriate in the field of specialization with a demonstrated record of achievement in teaching, academic research, and service. Normally will have produced creative work, professional writing or research in refereed and other professional journals, and be a recognized authority in the field of specialization. Must meet university criteria for appointment to the rank of Professor. Candidates must complete an online application to be considered for this position. 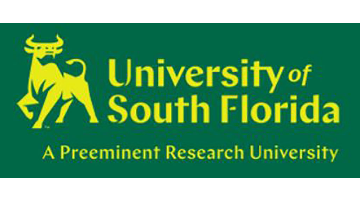 Please visit www.usf.edu and access “Work at USF” and then click on Access Careers@USF and search for Position #00013077. Applicants should submit a letter of application addressing the advertised qualifications, a CV and the names of three references. References will not be contacted without notifying applicants in advance.